Dave is negotiating a new lease for a lab space. His lab will be combined with his office. Chris started a forum for individuals who work as consultants (currently at about 50 people). Want to join? Fill out this form. An example topic was them talking about how to take vacation as a consultant, among much more technical topics. Microchip Masters is a regular conference throughout the world for Microchip products(with the largest one in Phoenix) each year. There is a new Hardware Happy Hour (3H), also in Phoenix. If you’re in the area, check it out! Chris got to chat with former guests Joe Grand and Joe Fitzpatrick about the questionable Bloomberg article about implantable spy chips. I started using a platform called OOPic in the late ’90s. What drew me to it is that I was writing spaghetti software in Visual Basic (when everyone else was learning C++) and this chip supported VB-like software to program the chip. This board was able to be programmed through a serial interface very easily and one could buy the kit that included a board, the 9 volt battery clip and the programming cable for around $35. I bought 2 at the time and played with them in my lab. I had connected a pot and was controlling a small DC motor with PWM. The company that made this, Savage Innovations, went bust a couple of years later, but there were several models available. This product could communicate to other boards using I2C, and there could be a master/slave relationship. I still have those 2 boards. The horse has…. I’m linking to a cartoon which is currently pinned to my wall. Click right to the last in the week. Cheers. It’s good to hear you guys together again. Love the story about the PRIC. Very classic. Regarding the PIC and Arduino stuff, Arduino it is a nice platform and was designed as a low cost option for Embedded Dev teaching at the Uni level as an alternative to the BASIC Stamp which originally had a PIC. But, there are other options such as TI (The have their own Arduino IDE implementation Energia) or STM that would be more appropriate for learning low level Micro dev. However, one could still take an UNO with a ATMega chip on it and get down and dirty with Atmel Studio. The bootloader is what makes it an Arduino compatible board. The interesting thing is that it seems most of the current Arduino branded boards have an SAMD ARM chip on it and only a few actually have an ATMega. The new MKR1010 sports both a SAMD21 and a ESP32 via a U-Blox chip. Then there is the MKR VIDOR 4000 that has a Intel Cyclone 10CL016 and SAMD21 as well as the U-Blox. 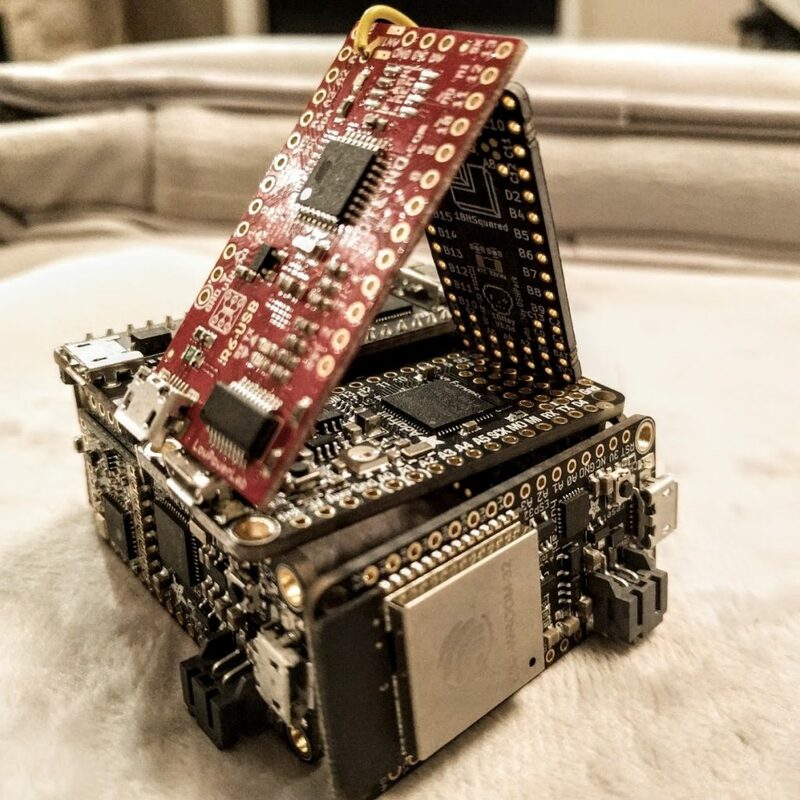 The new ATMega 4809, soon to be released with the Uno Wi-Fi Rev 2, incorporates the PIC feature Configurable Custom Logic (CCL) which seems to make sense considering the ATMega and PIC are owned by the same company now. Maybe we’ll see a PICMega at some point. Arduino uses a C++ compiler and if you look at the code you will find .cpp files containing C++ code. There is also C code there and one can write C code – I do this all the time. I don’t know what magic they use but the compilation seems to put them both together. Arduino does not “totally abstract things out” unless you limit yourself to only use the library functions in their reference documentation. Nothing at all stopping you from opening the datasheet or dropping into the library and writing lower level code. That is really funny. When I was going to school for Electronic Engineering, the vast majority of the students had little to no experience with ANY electronic construction outside of what they were required to do to get their grades. VERY FEW HOBBYIST. Nor did they have any interest in electronics at all, they were good at math and were told they should be an engineer…. I am an electrical engineer and Director of Engineering for a small OEM electronics company. We use tons of PIC micros in our product lines. PIC will be very prominate in the industry for years to come filling in a large variety of functions from simple to complex when I/O level functions are required. Only professionals have knowledge of PICs now-a-days. MIcrochip hasn’t lost market-share in decades. Once RISC-V becomes a thing, Microchip will dominate. One additional point regarding PIC parts, the ultra cheap($0.03) parts available in the Chinese markets are basically just OTP PICs like the PIC12C508. …not that Microchip is making them….